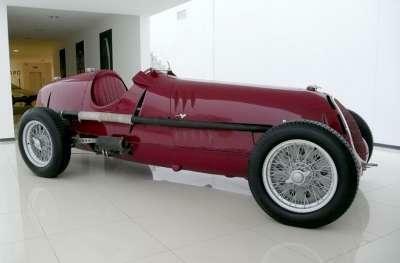 The Alfa Romeo type C which could be a 8C35 or 12C36 was designed to be able to take two different engines the 3822 cc straight 8 (the 8C35) or the 4064 cc V12 (the 12C36) Like the P3 the type C had a chassis made up of welded box sections however the wheelbase was slightly longer at 2.75 m. The type c had independent suspension all round, the front wheels were suspended on coil springs that were housed inside the shock absorbers and the spring was compressed by a pull rod attached to the upper suspension arm. The rear suspension was provided by a leaf spring across the rear axle and was essentially a copy of the German designs of the time. While this gave the car better traction and road holding it could be severely unsettled by camber changes and could easily catch out the unwary driver. The car was designed by Jano to take the V12 from the outset but due to development delays this engine was not ready in time so the straight 8 was used instead for its first seasons racing. This engine produced 330 Bhp at 5400 rpm but as the car was 10 kg heavier than its predecessor this was not the race winning car that Jano had hoped for. The car's first outing was at the Monza GP in September 1935 and while the type C was fast enough to set the fastest lap it only managed to scrape second place, loosing out to an Auto Union and even then the car was not in the best of shape coming home with a broken valve spring. 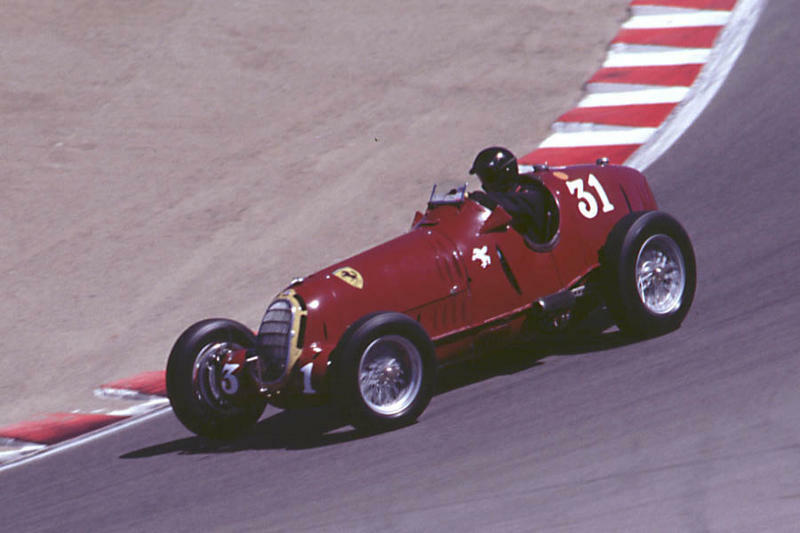 By 1936 the German cars were faster than ever and even the introduction of the Alfa V12 was not enough to make the cars competitive. The V12 produced 370 Bhp but Mercedes had 490 bhp and Auto Union had a whopping 520 Bhp. The Alfa engine is however worthy of a mention, it had two banks of six cylinders arranged in a 60 degree V. Each bank had twin overhead camshafts with valves inclined at 104 degrees these opened into a hemispherical combustion chamber in typical Alfa fashion. There was a single supercharger running at engine speed that feeds compressed air into two side draught carburettors at up to .75 kg/cm. However except on very rare occasions the German's proved to be dominant in nearly every race they entered. Then to add to the new engines woes the 12C36 was even beaten by a car fitted with the previous years straight 8 engine, there were some moments when the car showed promise even coming second in the German GP and winning the Vanderbilt cup over in America but even that was tainted as the legendary Nuvolari lost his ailing elder son, Giorgio to whom he had promised the trophy before he could get back to Italy. By 1937 the V12 was producing 430 bhp which was still way below the power outputs of the German cars and when the cars appeared in the Coppa Acerbo the cars handling was so bad that they were again beaten by the older cars. 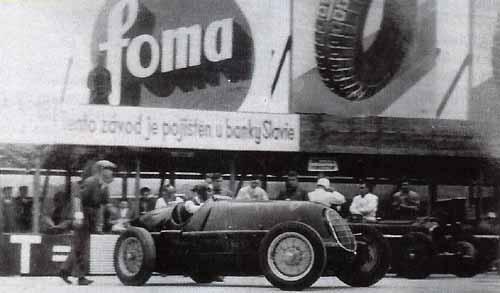 One of the cars was scratched from the race and the other dropped out before the Finnish, the cars were then withdrawn from the Swiss GP but as far as Nuvolari was concerned the Italian GP at Livorno was the end of the line and he was so disheartened that after putting in the fastest time in practice he simply handed the drive over to his team mate Farina before the end of the race.